On January 1, 2019, Minnesota Neonatal Physicians began caring for our premature and medically fragile babies at both Maple Grove Hospital and North Memorial Health Hospital NICUs. Minnesota Neonatal Physician’s team of rigorously trained and board-certified neonatologists are providing around-the-clock treatment for newborns. They’ve treated 2,000 customers each year, using state-of-the-art diagnosis, treatment and follow-up care. At North Memorial Health Hospital in Robbinsdale, the NICU team is equipped to take babies starting at 23 weeks gestation and at Maple Grove Hospital, we’re able to care for babies as early as 26 weeks gestation. Drawing on 126 combined years of service, the neonatologists of Minnesota Neonatal Physicians understand that the emotional support provided to our families is just as important as the comprehensive medical care they provide to our tiniest customers. 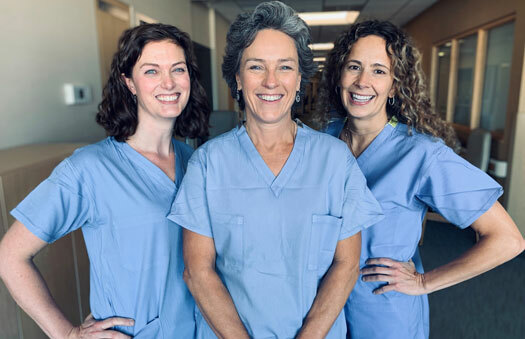 This neonatal care, coupled with North Memorial Health’s maternal fetal program, OB hospitalists (North Memorial Health Hospital) and many community-based obstetricians, brings together top-notch care to all moms, including those who are high-risk, and babies. The neonatal team is available 24/7 for questions or consults.